The latest features invented by some of the most popular crypto coins have changed the misconception most people have had about cryptocurrency. These features have been the main cutting edge advantage as compared to other payment processors. It has left it on the mind of doubters that cryptocurrency can be the saver of the future economy. From Bitcoin, Ethereum, Litecoin, and Decred to the remaining 1500 coins circulating, investors now have more confidence with cryptocurrency. This guide is going to be geared towards providing detailed information about The Decred crypto coin and why you should invest in it. The Decred coin is a decentralized autonomy that works on blockchain technology. The blockchain technology is similar to Bitcoin and is also regarded as a hard fork of bitcoin. 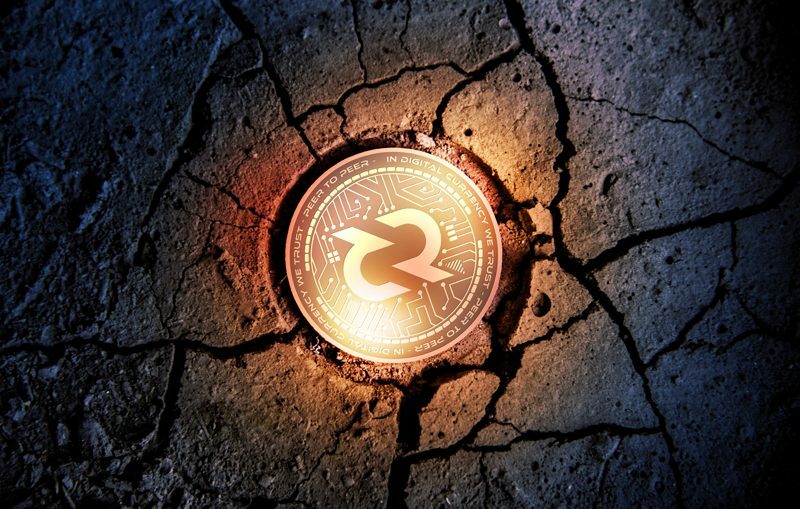 The Decred cryptocurrency is pretty much very new to the crypto world and dates back to February 7, 2016, when it was launched as an open source by a Chicago-based company. Since then, the Decred coin has received very good reviews due to updates from their platform and the release of the Decred v1.0.0. What is exactly is the Decred cryptocurrency? The main objective behind the release of Decred was to readdress the governance issue faced with Bitcoin and modify its consensus algorithm. Its architectural design was created to operate through a hybrid proof-of-work and proof-of-stake. Both these two consensus mechanisms operate in the Decred consensus protocol to confirm a new block. Governance; The main aim of the Decred cryptocurrency is to prioritize decentralise governance and its decision making. Its system is governed by both miners and cryptocurrency holders making it achieve high flexibility across the Decred community. That means every stakeholder has a role to play in its consensus mechanism that allows both hybrid Proof-of-work and Proof of stake. Both mechanisms give decision making power to stakeholders to change rules and change the mode of the transaction between them. While Proof of stake mining gives the authorization to vote on any significant development on the Decred network, the Proof or work is used to validate transactions on its network and generate its token. Cross-chain atomic swaps between two or more currencies; This process allows two different cryptocurrencies to be swapped irrespective of their chains. This feature was designed by Decred as a smart contract technology that enables two parties to exchange with different currencies without the interference by a third party. When the transaction swap is completed, it occurs as on-chain irrespective of all limitations either between Bitcoin or Decred coin. This feature creates room for a trustless manner without the use of the third party. In the light of an Atomic swap, it guarantees users that their transaction is safe and secured. An easy system for the cross-platform wallet; With the use of the Decred platform, it offers easy access to the cross-platform wallet. This cross-platform wallet enables users to manage their funds wisely through strong encryption and a high level of security. It also offers users access in an operating system like Windows, Mac, Android and Linux as well as allowing for multi-level cryptocurrencies; for an easy cross-chain swap between two or more cryptocurrencies. A third-party line of wallet control; Decred has put all consideration to individuals already in possession of a specific number of wallet systems like Exodus, Coinomi, Bitbill, AnyBit, Guarda, Cobo, and Atomic wallet. These third wallets are authorised because of their ability to operate as a multi-currency level and a highly secured network. Incorporation of the lightning network for smart contract payments; The lightning network works with the use of smart contracts and helps with low-latency payments between blocks during an on-chain transaction. With such a network, a deferred settlement modality is made possible. This helps to reduce transaction load on the blockchain and reduces the transaction fees which allows for a high scalability rate. The Decred cryptocurrency has a ticker symbol as DCR. Its market cap currently sits at $138340685 USD with a circulating supply of 8961303DCR; as against the total supply of 21 million DCR. It currently ranks 34 in the coin market cap. The Decred offers a cross-platform wallet that uses GUI. This works an online wallet and can be accessed using the following GUI wallet for an operating system like macOS, Windows, and Linux 64-bit. This first requires you to download them in their various extensions and run them in your operating system. The Decred wallet system is also built to enable multi-cryptocurrency storage for a cross-chain atomic swap with a high level of security. Other wallet systems like Exodus and Atomic wallet operate in the same design as the Decred wallet. As mentioned earlier, the Decred coin is still new in the market. So, securing the coin might not be too easy with the use of a debit or credit card. The use of a cryptocurrency exchange is still the most valid way to access Decred. This allows users already in possession of other crypto coins like Bitcoin to engage in cryptocurrency exchange trading. What this means is that Bitcoin or other crypto coins can be swapped according to their trading pairs like DCR/BTC. An example of a crypto exchange where this can be done is through OKEx, Huobi and Bittrex. These crypto exchanges allow individuals already in possession of other coins to perform a switch. The mining of Decred requires a substantial amount of DRC coins in your account before the mining process. This mining process uses a consensus mechanism for its mining activities; Decred applies two mining consensus which is the hybrid Proof-of-Work and the Proof-of-Stake System. With the dual consensus mechanism, you can either create a new block by either mining blocks as a miner or vote as a stakeholder to verify blocks. Miners then get paid for validating each block into the blockchain. If done alone, the mining of Decred may also require the use of a sophisticated hardware component like GPU and a software system that runs the entire mining process. Examples of approved Decred mining software are Gominer, Ccminer, and Sgminer.